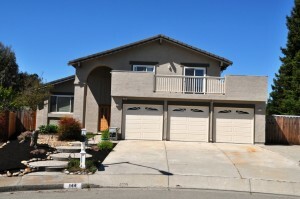 Another San Ramon short sale success! East Bay Short Sale Group is excited to announce 144 Pebble Place in San Ramon closed escrow this week! San Ramon short sale was listed at the end of April, we were in contract the same week, Eastbay short sale group’s team successfully negotiated a short sale and we closed escrow all in under 3 months! This San Ramon Short sale has 2280 square feet of living space and is situated on a huge lot backing up to the iron horse trail. Home included 4 bedrooms, 3 bathrooms, 3 car garage, kitchen with granite and stainless steel appliance, formal living room, formal dining room, and family room with fire place. The seller of this San Ramon short sale had a true hardship and the home did not work for his family anymore. The homeowner needed to sell this home and needed help. Once Eastbay short sales group was contacted by the seller we sprang into action! While listing the property for sale we began gathered all of the financials, hardship letter, and forms from the homeowner and submitted the short sale packages to their lenders short sale departments at Bank of America. The seller contacted us early and we were able to successfully complete this short sale before a foreclosure sale date was ever placed on the property! Previous post: New Listing – Livermore Short Sale! Next post: Just Listed – Hayward Short Sale – Investor Special!